The Gulf oil spill has captured our attention for months. We watched incredible videos of oil gushing from the wellhead 5,000 feet below the surface and have seen the damage it has wreaked on the surface. The well is now capped but the story is far from over. We will certainly see new safety rules for future wells and environmentalists will use the accident to renew their calls for a moratorium or ban on offshore drilling. The Federal Government, never shy about passing new rules and regulations, will undoubtedly develop more - even though the proper enforcement of existing rules and inspections could probably have prevented the accident.Normally, when a hurricane or other natural disaster strikes this area so key to natural gas and oil production, we see an increase in prices. After the Gulf oil spill, however, there was no such change. There was a brief spike in price in late April and early May, which can be attributed to the initial chaos following the disaster. Soon after, prices returned to pre-accident conditions and at this time are actually trading lower. It seems the Gulf oil spill was not enough to influence the cost of natural gas and oil. But the local economies along the Gulf have been dealt a blow, while some are still trying to recover from hurricanes Katrina and Rita five years ago. The biggest blow may be yet to come, in the form of lost jobs, should the Federal Government overreact to this tragic accident. $365 million Deepwater Horizon rig owned by Transocean Ltd. and leased and operated by BP killed 11 crew members and injured 17 others. It also caused oil to gush unimpeded into the Gulf for 85 days. Depending on sources, and we have seen a wide range of estimates, the actual amount of oil released into the Gulf probably lies somewhere between 4 million and 200 million gallons. An unexpected build up of natural gas caused an explosion and subsequent failure of Horizon's "blowout preventer". As the name implies, the blowout preventer was designed to contain oil in the event of an accident. This particular blowout preventer had just recently passed inspection, when by their own admission, BP managers misinterpreted the inspection test results. At the time of the spill, many concerns arose. People predicted the oil could be hazardous to cleanup crews, that it could alter shipping lanes and that it would lead to the closing of more oil rigs. These and many other fears were legitimate concerns at the onset of the accident but few have come true, at least with the severity that some had predicted. One of the greatest fears was that the oil spill would cause the prices of oil and natural gas to spike. Natural gas is also affected by this disaster because gas rigs mine the same areas with similar technology as the oil rigs. While the onset of the spill saw a brief increase in prices, the price per barrel of oil has stabilized and remains relatively unchanged. To see an illustration of how prices have actually reacted, click here. Shortly after the spill, the federal Mineral Management Service reported that three offshore natural gas rigs had been shut in. Doing so blocked nearly 6.2 million cubic feet of natural gas from reaching the market. While the figure may seem large, it accounts for less than one tenth of a percent of the total natural gas we produce daily. In the same way, crude oil supplies have not suffered much from the spill. Two oil rigs were shut in and one was evacuated. As for the Horizon rig, it was just completing it's final testing stages, so this rig was not yet part of our nations supply portfolio. Also, with a slumping economy we see inventories of crude oil and its refined products are at 25 year highs. The predictions of shortages and skyrocketing prices were obviously overstated. The Gulf oil spill is certainly an ecological disaster unrivaled in American history. However, it has not led to higher prices for natural gas and oil that are so important to our economy. Higher prices, however, may result from the action that our Federal Government feels compelled to take. 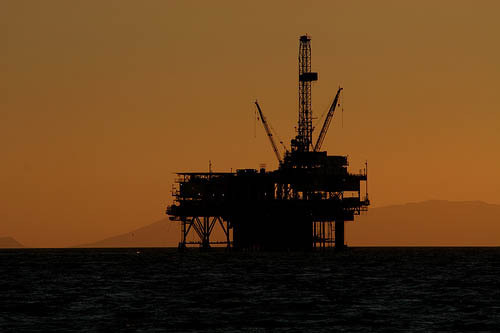 President Obama has imposed a six-month moratorium on Gulf deep-water drilling. Furthermore, no new wells may be drilled during the next two years as the government reviews permit applications under new rules and the industry fends off legal challenges from drilling opponents. Ironically, current environmental laws already make it difficult to explore for natural gas and oil; which is why these rigs must be placed so far out to sea and have to drill so deep. A drilling moratorium would also cost many their jobs, at a time when unemployment in America is already at 9.5%. More layoffs are the last thing people in the Gulf States want and their Attorney Generals have quickly challenged the Federal ban on drilling. In an effort to send a strong message to the oil and gas industry the federal government has fined BP $20 billion. The money will purportedly be used to help local businesses adversely impacted by the spill. How the money is actually spent is yet to be seen. We only need look back a few years to see how the enormous sums taken from "big tobacco" got commingled and spent from "general funds". The money taken from BP to date, has contributed to a 54% tumble in their stock price. This reimbursement may not be the end of BP's liability and has undoubtedly caused concerns amongst thousands of retired workers who rely on BP pensions.